First built in the 1660s for merchant Hugh Lister, Wilberforce House is more famous as the birthplace of William Wilberforce, an English politician and campaigner who was a key figure in abolishing the slave trade in the British Empire. After a two year redevelopment in 2007 the house now houses seven galleries exploring the history of the slave trade and abolition movement. 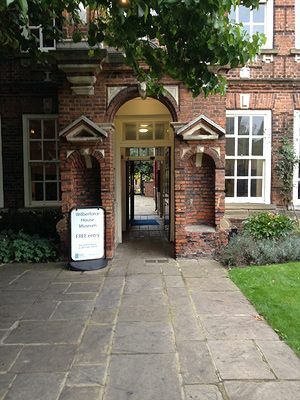 Wilberforce house is approximately 15 mins walk from Hull train station. Local buses include 3, 14, 56 and 57.